How to prevent the summer slide | Back to Basics Learning Dynamics, Inc. According to a study by Dr. Harris Cooper, professor of psychology at the University of Missouri-Columbia, “When students return to school after a long summer vacation, they’ve lost one to three months worth of learning.” The study, which was outlined in an article on summer learning for FamilyEducation.com, is understandably troubling for many parents. 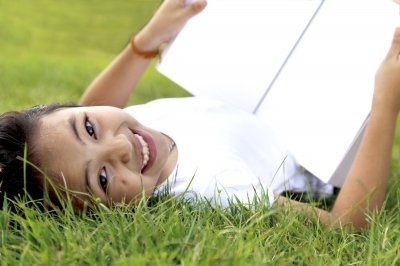 So, how best to combat the dreaded Summer Slide? Keeping your child somewhat structured and keeping to a schedule, even though it’s summer, is essential. And, don’t forget to “sneak in” some fun learning opportunities! How to spark a passion for a new subject in your child this summer? So, this summer, why not expose children to drama, music, art, photography, or a foreign language? Back to Basics Learning Dynamics offers exciting enrichment options for every age and interest and 1-on-1 instruction in over 60 subjects. To learn more about summer enrichment options at Back to Basics Learning Dynamics in Wilmington, Delaware, please call 302-594-0754. Back to Basics Learning Dynamics is the undisputed leader in 1-on-1 tutoring in Delaware and southeastern Pennsylvania for over 60 subjects. The company also offers 1-on-1 SAT Prep, ACT Prep and Test Prep, translating and interpreting in 16+ languages, homeschool support, educational testing and more. For more information about Back to Basics’ educational services, please call us at 302-594-0754. Photo by Naypong and FreeDigitalPhotos.net. Sixth Annual Delaware Week of Service will celebrate the spirit of volunteerism!